On April 23rd, 1516 (Baby McHops’s birthday, incidentally…except about 500 years earlier), the Reinheitsgebot, or Bavarian Purity Law, was enacted. Because Reinheitsgebot is a German word, you might assume that the legislation had an evil purpose. Perhaps it was a law that encouraged the parents of disabled children to throw their offspring down a well? Or maybe it was a law ensuring sterilization of anyone with red hair? Good guesses, but wrong. The Bavarian Purity Law was actually enacted to ensure the purity of BEER…not people. And while most things of German origin are created with horrific intentions, the Reinheitsgebot was actually established for fairly beneficial reasons. *Some of theses herbs also had a mild narcotic effect…so while we’ve gained a lot in the past few centuries thanks to the dominance of hops as THE flavoring agent in beer, we’ve also clearly lost a little. The problem is that only a handful of these herbs actually HAD any preservative effects…so the beer spoiled pretty quickly. As brewers tried weirder and weirder adjuncts like stinging nettles and soot, the beer just got worse and worse. There was also the not-insignificant concern that some herbs were just flat-out poisonous and could make the drinker sick or even a little dead. *Essentially the Reinheitsgebot limited the ingredients in beer to just water (duh), barley, and hops. Yeast, the crucial “fourth” ingredient in beer wasn’t known to be a part of the fermentation process until a few centuries later…thanks to that milk-chugging frog, Louis Pasteur. The Reinheitsgebot made it illegal to use any grain but barley in the brewing of beer. 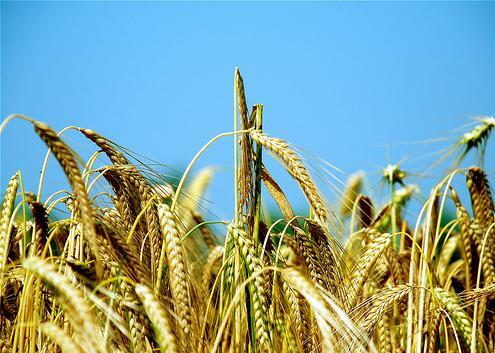 At the time of its enactment, wheat and rye were fairly common grains in beer production. In fact, Roggenbier, a dry, spicy rye beer, was quite popular in Bavaria. So why limit the making of beer to a single grain? Simple…the people gots to eat! Rye and wheat are MUCH more valuable to bakers than barley in terms of bread production. While barley makes a tasty, highly nutritious bread, prepping the grain for use in baking is a much more labor-intensive process than it is with rye and wheat (particularly when using early 16th-century technology). So the Bavarian Purity Law’s insistence that barley was the only legal grain to make beer with was put in place to ensure that beer production wouldn’t interfere with bread-making. The German law-makers wanted to make sure there would always be ample bread to feed the masses and didn’t want brewers dipping into the State’s reserves of rye and wheat. While beer may be the most important invention in the history of ever, even the staunchest Alehead has to admit that bread has had a slightly greater impact on our species’ ability to survive. While the Reinheitsgebot standardized beer production, ensured the quality of Germany’s beer, and made Germany the biggest suds producer on Earth, it did have some deleterious effects. To this day, Germany has far less variety in terms of beer “options” than other more “creative” brewing nations like Belgium and the U.S. (although, admittedly, German brewers have been making great strides in increasing their country’s beer selection in recent years). The Law also effectively killed the production of certain beer styles…like the aforementioned Roggenbier. Rye Beer basically died (except in a few specific regional instances like Finnish Sahti) until the modern era when the craft beer movement began reviving older styles. Recently, rye has seen a renaissance in the brewing industry. Taste a current example like The Bruery’s Rugbrod, Founders Red’s Rye PA, or Terrapin’s Rye Squared and you’ll understand why. As part of their intriguing Brewmaster series, the Sly Rye Porter from the Yazoo Brewing Company (an accomplished outfit in Nashville, TN) marries a traditional English Porter with an American Rye Beer. The beer pours black with a short, dense, tan head that lasts appropriately for the style and leaves splotchy, tenacious lacing. The nose, as you would expect from an English-inspired Porter, is almost all roasted malt with some espresso beans in the background and the faintest whiff of peppery rye. The taste is mostly malt-forward with a deeply roasted, almost burnt flavor and some dark cocoa thrown in for good measure. The rye makes its presence felt in the finish where it adds a wonderful dry, spicy taste that leaves you thirsting for more. It’s lighter than medium-bodied, thanks to the rye and has extremely high drinkability (just 5.7% ABV on this one). 3 Hops for a definite session Porter that uses rye as a nice, subtle addition to the beer. There’s nothing subtle about the next brew. In contrast to the light-bodied, average-ABV Sly Rye Porter is a rye-based monster from the Schmaltz Brewing Company (AKA He’Brew). The Bittersweet Lenny’s R.I.P.A. is an Imperial IPA (though Imperial Rye Ale is more accurate) brewed as an homage to the profane and profound satirist, Lenny Bruce. I didn’t know the man (he died over a decade before I was born), but I have to believe he would have enjoyed his namesake brew. The R.I.P.A. is a 10% beast that pours a gorgeous, clear dark amber with a crazy-thick head of beer. The bubbles in the bright white head are so tightly knit that it appears to just be a dollop of whipped cream. It never really fades, and it leaves spectacular lacing that clings high and tight on the glass. The nose is…well…big. Big, sweet malt. Big, spicy rye. Big, citrus and pine notes from seven different “wet” hop varietals and three types of dry hops. Plus a massive rush of booze cutting through everything like a scalpel. The taste is amazingly well balanced considering the sheer volume of flavor cascading down your gullet. The sticky-sweet caramel and toffee of the malt is off-set beautifully by the HUGE hop bitterness. While those two combatants are fighting for taste supremacy up front, the peppery rye and alcohol burn are fighting a rear-guard action in the finish. None of the flavors “win” which means that everyone wins. This is just a great damn beer. Mouthfeel is appropriately full-bodied for the style, but the rye and amazing carbonation keep it from being cloying or syrupy. Still, with so many big flavors and such a high ABV, this isn’t exactly a “drinkable” beer. One bottle should do you just fine for the night….just make sure you have more in stock for the rest of the week. An easy 4 Hops for the R.I.P.A. If you haven’t explored the growing world of rye beer, do yourself a flavor and grab a few bottles. The Germans may have tried to kill the style, but like everything else the Germans have tried to kill, rye beer has managed to survive and is now making the world a much much better place. Posted in Beer Culture, Tasting Notes.Tagged 3 hops, 4 Hops, Bavarian Purity Law, Bittersweet Lenny's R.I.P.A., He'Brew, Imperial IPA, Porter, Reinheitsgebot, Roggenbier, Rye, Schmaltz, Sly Rye Porter, Yazoo. Wow. What’s up with all the German bashing? He’s still upset that the Germans bombed Pearl Harbor. Pineapples and grass skirts are very important to his people.